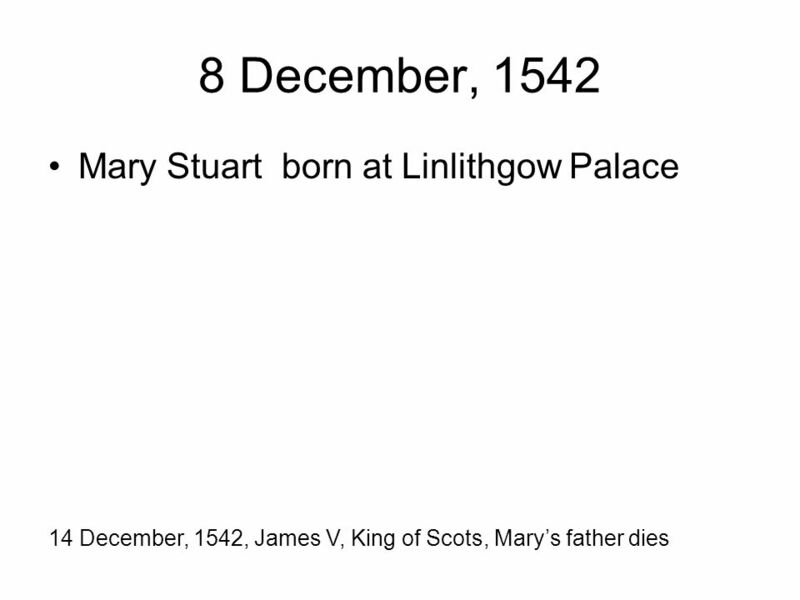 8 December, 1542 Mary Stuart born at Linlithgow Palace 14 December, 1542, James V, King of Scots, Marys father dies. 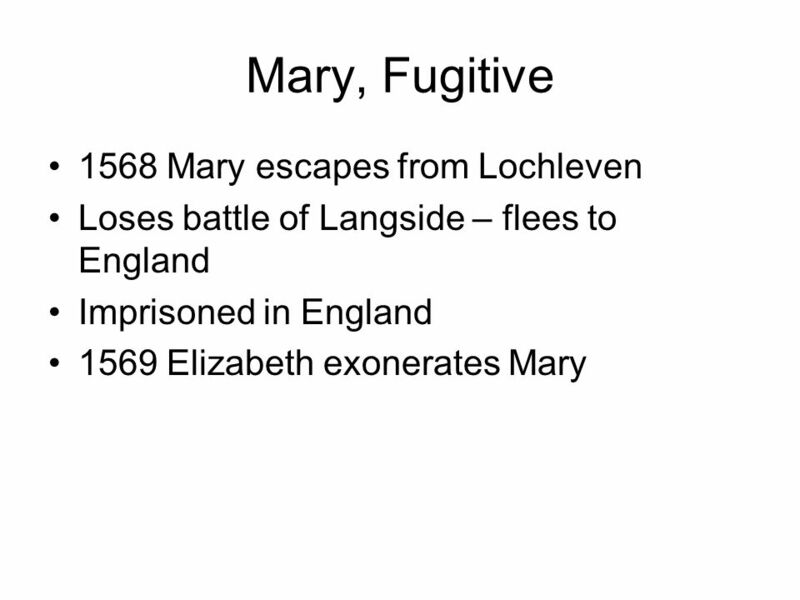 Download ppt "8 December, 1542 Mary Stuart born at Linlithgow Palace 14 December, 1542, James V, King of Scots, Marys father dies." LO: To understand the timeline of the Tudor period. DUMMIES GUIDE TO JAMES VI & I By: Erika & Jensen. 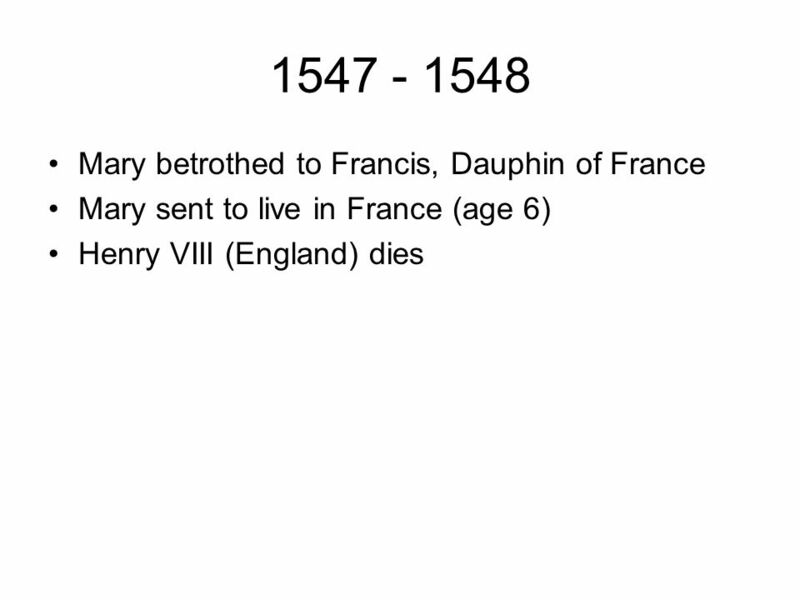 Marie de Guise Talejah Watts ( ) Born: November 22, 1515, Died: June 11, 1560. Our story is beginning here. 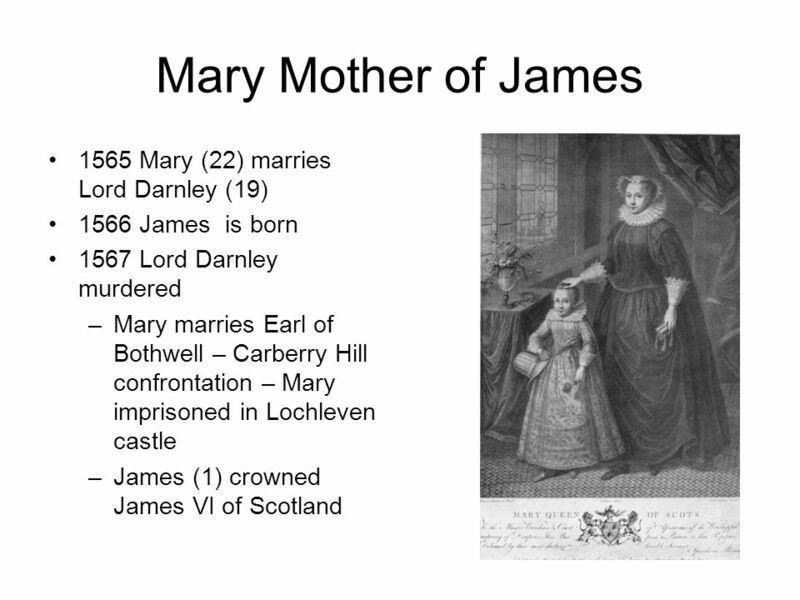 In April 1567, after the death of her husband Lord Darnley, she married with James Hepburn, 4th Earl of Bothwell. However. 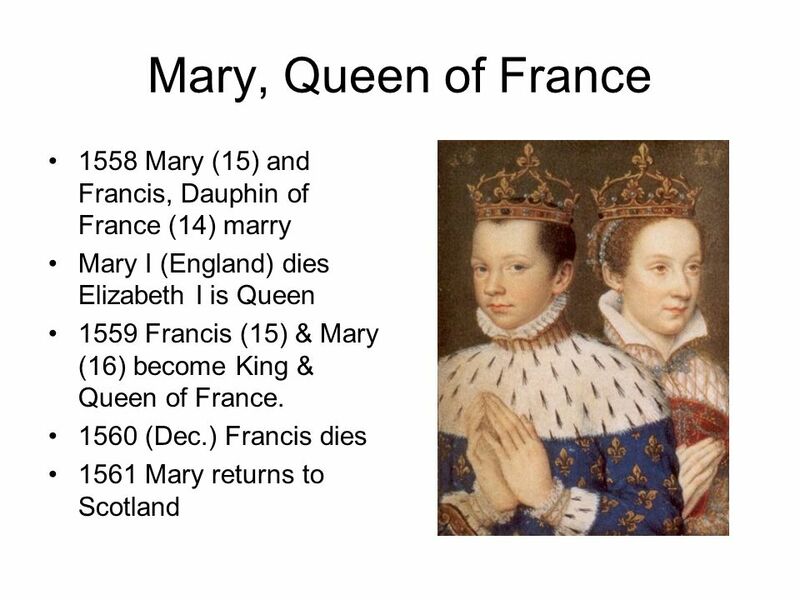 Mary Queen of Scots Aged 13 mY. 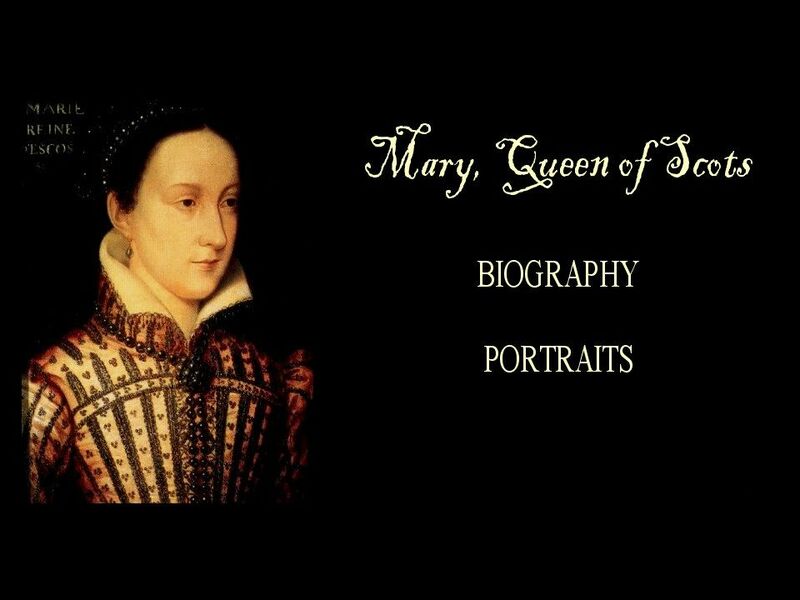 MARY STUART Queen of Scots Mary Stuart Was born on December 8, 1542 at Linlithgow Palace, West Lothian Was born on December 8, 1542 at Linlithgow. King James VI of Scotland and I of England By: Sonja Solomon. BY JUAN RAMIREZ PERIOD 5 KING JAMES THE SIXTH. HISTORICAL, BIBLICAL, & ROYAL BACKGROUND King James VI was the “King of Scots” At his time, he was the. 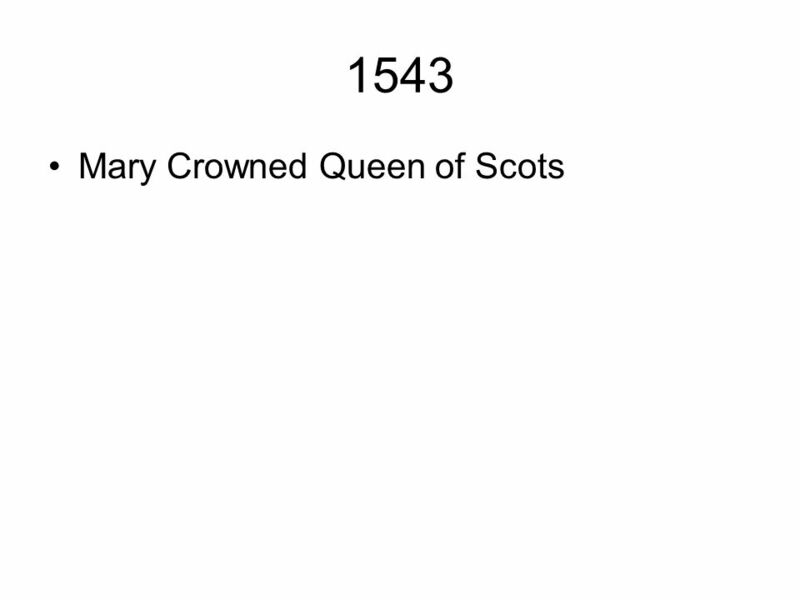 Queen Elizabeth I 14-1 Background I. Reign of Henry VIII –A. 1509- Becomes King and marries Catherine of Aragon –B. 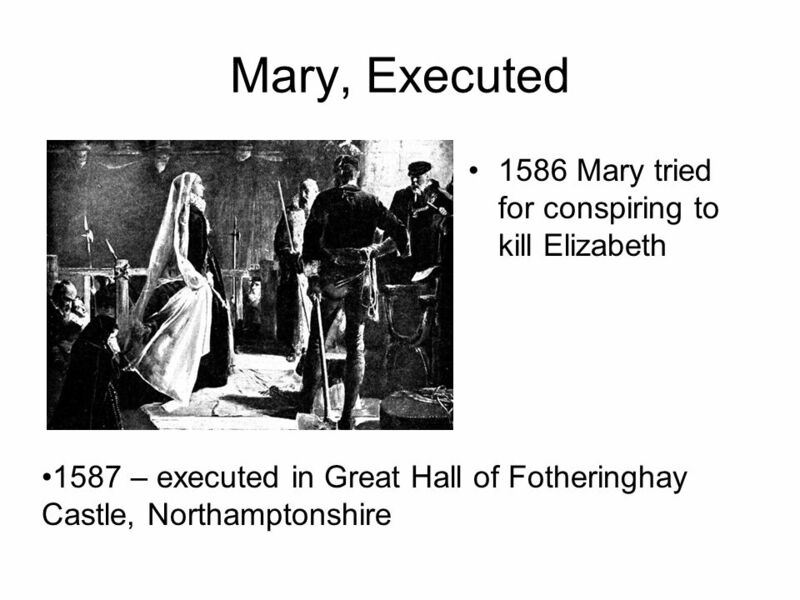 1515- Catherine gives birth to Elizabeth’s.